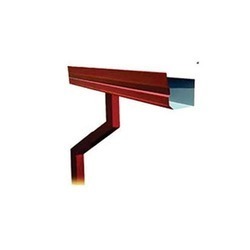 We manufacture, supply and trade best quality Corner Flashing, due to our in-depth knowledge and vast experience in this domain. owing to their resistance to corrosion, tensile strength, longer functional life, ability to withstand extreme weathering conditions and seamless finish, these flashings are highly demanded in the market. 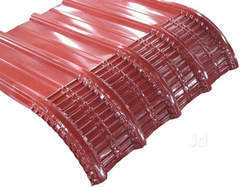 These flashings are available with us in user-defined specifications. With the aid of latest machinery and a team of skilled professionals, we have been able to offer high-quality Crimped Sheets to our valuable customers. These crimped sheets are designed from high-density steel and in adherence to the industry laid standards by using cutting-edge machinery. Available with us at industry leading prices, these products are highly demanded. We offer NLC Galvanized Sheets to our clients at reasonable prices. The Galvalume & Galvanized Sheets are crimped to required radius and angle to fit the purpose on covering any corner and the open end of a shed. 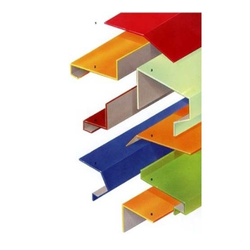 Available in all thickness & colors and to as many possible bends. This product is designed by our skilled professionals by using advanced technology. As per the demand of our customers, we are providing this product in bulk. Dimensions 15" x 10", 5" x 3.5"
Engaged as a manufacturer, supplier, and trader, we are providing our clients with Roof Ridges. These ridges provide a neat finish to pitched roofs, owing to which demanded across the national and international markets. Post-production, these ridges are checked thoroughly on various parameters to ensure flawlessness. 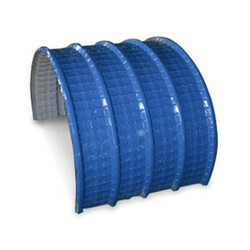 Dimensions 15"x10", 5" x 3.5"
Acknowledged in the industry as a manufacturer, supplier, and trader, we are engrossed in offering Shed Water Gutter. 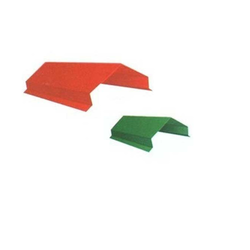 It is also known as Gutter and C. Designed for various industrial applications, these products are manufactured with the help of modern tools and machines, installed at our infrastructure facility. Before final dispatch at the customer's' premises, these products are checked thoroughly to ensure flawlessness. Looking for Roofing Material Accessories ?